Chances are that most snowmobilers rely on tried-and-true favorite destinations, with an occasional foray to experience a new area over an extended weekend or holiday. But, what if you had nothing else to do all winter long but ride your sled and enjoy 10 of the premiere snowmobiling locations in all of the Snow Belt? Where would you go? We know we’d go to visit what we consider our 10 Must Ride areas across the Snow Belt. In a somewhat geographic order from East to West across the North American Snow Belt, here are 10 snowmobile areas that we consider Must Go To snowmobile spots. 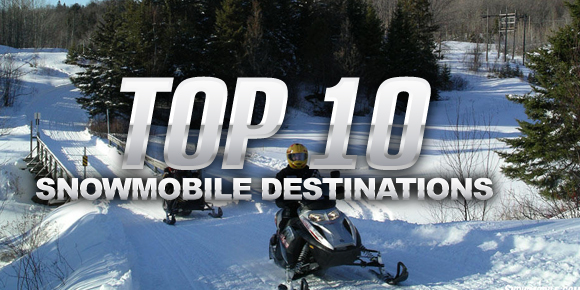 Read more about the Top 10 Snowmobile Destinations at Snowmobile.com.